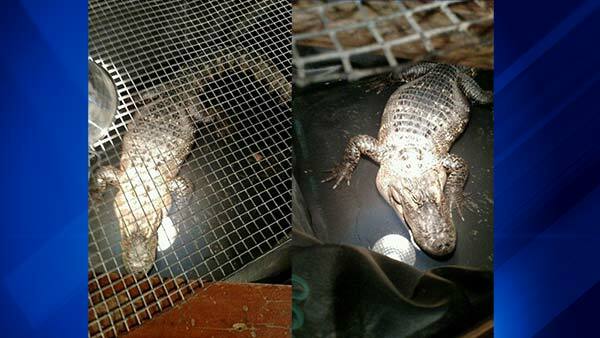 CHICAGO, IL -- A six-foot alligator was removed from a south suburban Lansing home after 26 years, policy say. Sgt. Bill Shannon, of the Illinois Department of Natural Resources' conservation police, said the neighbors were unaware the alligator was living in Charles Price's basement. Shannon said Price would periodically put it out into his backyard, but most of the time it stayed in a large cage. The alligator was discovered by an appliance repairman who, while working in Price's basement, noticed movement from a covered container. When he discovered what the cage contained he took pictures and contacted Lansing's animal control officers. Shannon enlisted another conservation police officer and an alligator specialist to help wrangle the 200-pound reptile. American alligators are native to Florida and considered endangered. People are only allowed to possess them if they have a permit for educational purposes, rehabilitation or something similar, a measure meant to protect humans and animals alike. Shannon said Price told police he got the alligator when it was a baby at a swap meet in Kankakee. He is charged with misdemeanor unlawful possession of an endangered species.